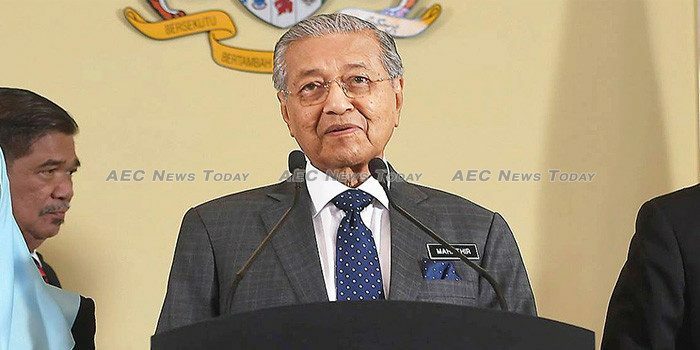 Having returned to the Malaysian prime ministership, Mahathir Mohamad is implementing a much-welcomed reform agenda and correcting governance ills introduced during his earlier reign. But relations with Singapore are reverting to the pestilent hostilities synonymous with Mahathir’s first turn in power, most recently escalating into a maritime territorial dispute that threatens to destabilise the Straits of Malacca. Closer bilateral relations — both economic and defence — forged under the prime ministerships of Abdullah Badawi and Najib Razak appear increasingly under threat. Long-held grudges are resurfacing and the fairness of earlier agreements is facing contest for both political and prudent reasons, thanks in part to the tainted reputation of the former government’s procurement processes. The current maritime territorial dispute arose in October 2018 when Malaysia unilaterally extended the territorial boundary at Johor Bahru Port, encroaching into Singaporean-claimed waters. The claim extends beyond the maritime border Malaysia unilaterally declared and reinstated in 1979 and 1999 respectively, marking the first time in almost 20 years that either side has attempted to shift the boundary. Malaysia has since deployed three maritime agency vessels to patrol the newly claimed area in an ‘occupation’ using non-military force. The territorial dispute is the latest in a series of irritants that have become a feature of Singapore–Malaysia relations since Mr 1 resumed power. Disputes are being waged on several fronts including the long-term contractual price of water supplied to Singapore and the postponement of the Kuala Lumpur–Singapore high-speed rail project (both viewed by Malaysia as unfavourable deals). Friction also extends to airspace, particularly with respect to Singapore’s control of air traffic over Malaysia’s southern Johor state. Plans for a new instrument landing system at Singapore’s second airport — which Malaysians fear will stunt local development — are being met with a countervailing declaration of a military restricted area near the border. 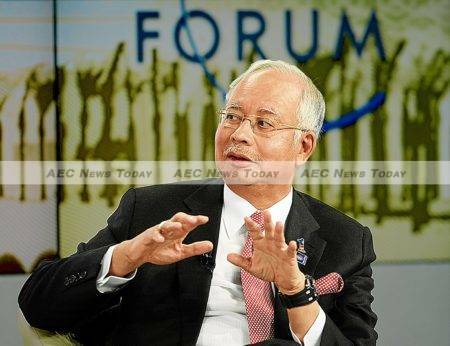 A revival of Mr Mahathir’s divisive ‘crooked bridge’ proposal may also be on the cards. Singapore’s initial response to the maritime dispute was two-fold. On the diplomatic front, Singaporean leaders called for negotiations to resolve escalating tensions and end Malaysian provocation. Singapore sees the problem as Mahathir-specific, with the younger and more ethnically diverse members of the Malaysian Cabinet believed to hold more conciliatory views towards the island-state. 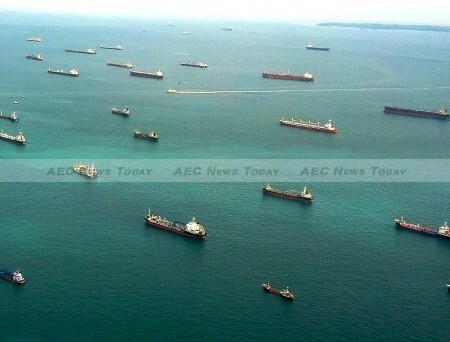 On the military front, Singapore’s Defence Minister warned the Malaysian vessels parked in the disputed territories to leave. Meanwhile, the Singapore Armed Forces declared week-long military exercises across the island-state and mobilised its regular and reserve forces. Malaysia for its part agreed to negotiate with Singapore, but has no immediate intention to remove its vessels from disputed territory. A meeting of foreign ministers on January 8, 2019 provided stop-gap de-escalatory measures, establishing a working group to discuss the maritime dispute and a mutual suspension of activities concerning the airspace disagreement. Key players in the dispute have contributed to earlier dialogues, but were not part of these talks. A day later the Chief Minister of Johor state entered disputed waters on a Marine Department ship in a move that reignited tensions. While this and broader frictions may never amount to more than short-term posturing, military stand-off comes with inherent miscalculation risks. As government vessels from both states — some of them armed — deploy off Singapore’s western coast, mounting tensions or a misreading of intent within the disputed area may escalate rapidly into damaging conflict. Bilateral containment of military escalation seems unlikely given the strategic importance of the surrounding Straits of Malacca, one of the world’s busiest shipping lanes and a strategic chokepoint joining the Indian and Pacific Oceans. The criticality of the Straits to global trade and energy supply for regional powers, including China and Japan, mean military intervention by a major external power to ensure the safety of their sea lines of communication cannot be discounted. The encroachment of more powerful naval forces in waters currently patrolled by Malaysia, Singapore, and Indonesia would not be a desirable outcome for either party, and one that may threaten regional commitments to peace, freedom and neutrality. As long as bilateral relations remain dictated by personal scores rather than neighbourly pragmatism, damaging scenarios become increasingly probable. Advances in integration over the past decade have raised the stakes significantly across a multidimensional relationship. Cooperative defence relations between traditional allies are essential to both countries, increasingly so in an Asia-Pacific region with a diminishing security guarantor. Economically, Malaysia and Singapore are one another’s largest source of bilateral investment and among each other’s top three trade partners. Hundreds of thousands of Malaysians cross the border each day to earn a living. Destructive engagement also detracts from the cooperative pursuit of mutual geopolitical interests, including advancing Asean’s agenda and uniting as open trading nations against US President Donald Trump’s protectionist storm. Still, a cooperative settling of differences seems unlikely, with Mr Mahathir intent on pushing Singapore’s buttons and Singapore’s uncompromising response. That neither side gains from escalating conflict should temper expectations of wholesale deterioration, but Singapore–Malaysia relations will be navigating choppy waters while Malaysia’s forthright captain remains at the helm. This article was written by Abdul Rahman Yaacob, a PhD student at the National Security College, Australian National University (ANU) and Stewart Nixon a Research Scholar in the Crawford School of Public Policy, Australian National University (ANU). It first appeared on East Asia Forum under a Creative Commons License and is reproduced here with its permission.